Above is artist Lillian Schwartz during the 1970s. 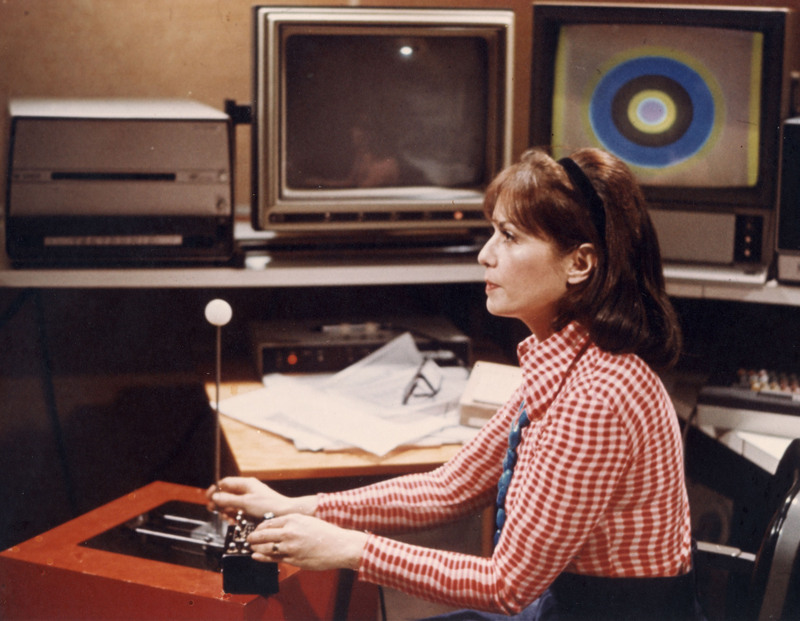 Schwartz is considered a pioneer in the field of computer-generated art. Schwartz worked on what is known today as graphics, animation, special effects, multimedia, and more. For more information on Schwartz and her work visit her website with her biography and list of projects. This photo was found posted in the section PORT of the site portlandart.net An exhibit in in Portland during 2011 featured some of Schwartz’s work. 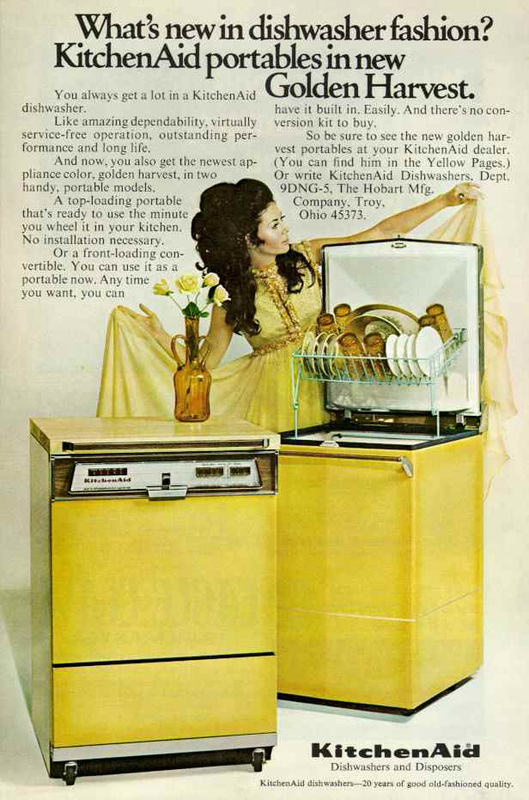 This advertisement comes from the 1970s and shows a woman as a decoration next to a dishwasher, rather than interacting with the appliance. This ad focuses on the fact that the appliances can now come in multiple colors. For more information on the household/technology relationship in the 20th century read this Association for Consumer Research report. 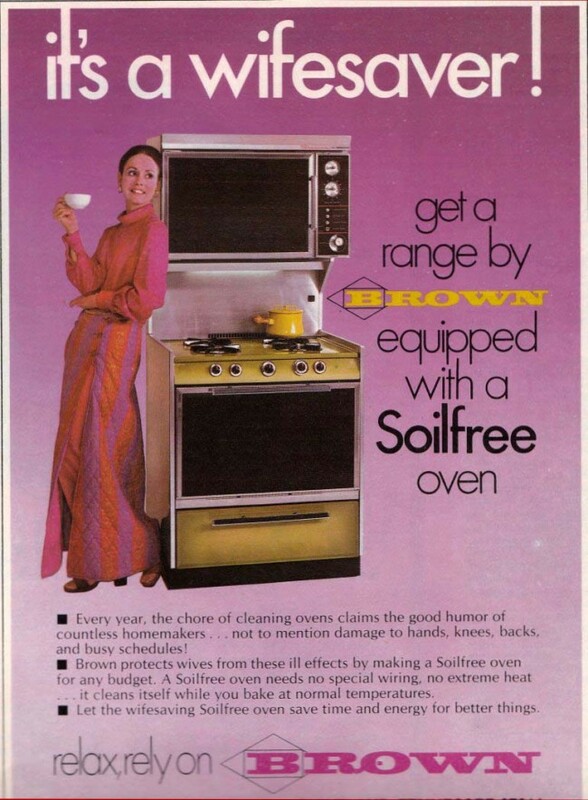 This ad was found on the digital platform Flashbak that aims to collect and display photos from the past. 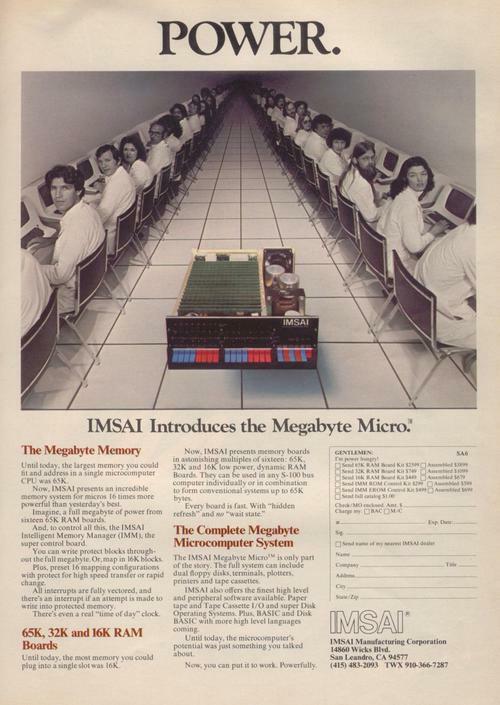 This advertisement is of the IMSAI Corp. that recognized the potential in the microcomputer industry early on. The rest of the article and another gallery shows more computer advertisements from the 1970s. 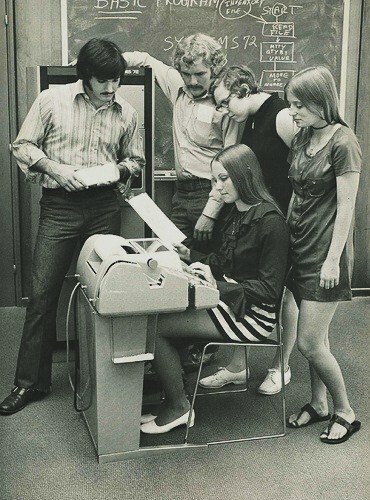 This is a photo from an early computer class at Lindenwood University in St. Charles, MO. For more information read this Washington Post opinion piece that explores the role women played in computing through history, and why there are fewer women in tech today. This photo was found in the Lindenwood University library. 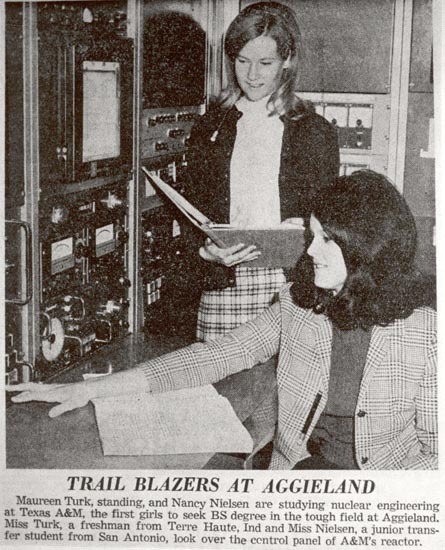 It and other photos from the class of 1970 can be viewed in this file. 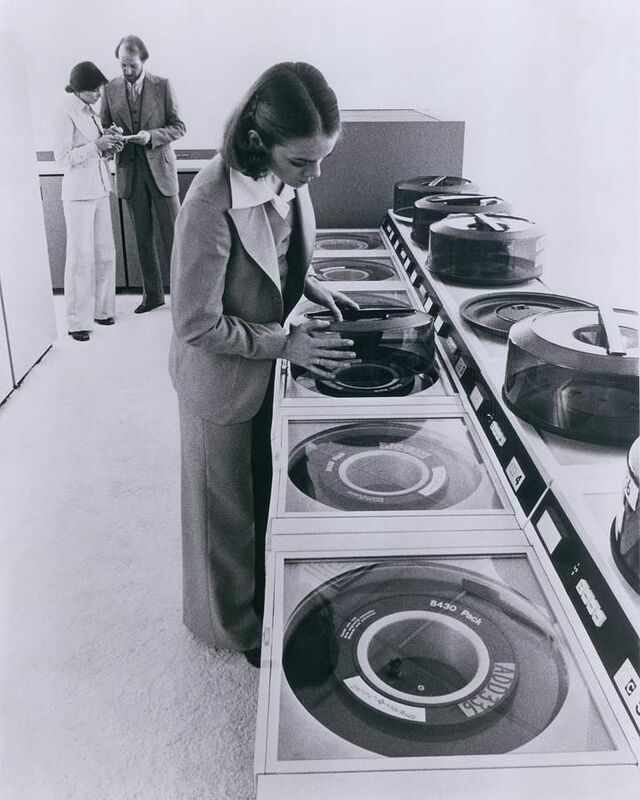 This is a photo of “office personnel with an IBM System/34 data processing system in 1977.” Read this description from IBM for more information on the IBM System/34. 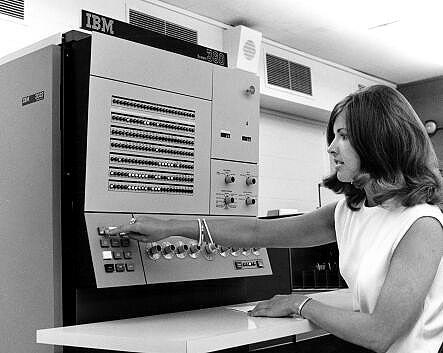 This photo was found in the IBM archives on women in technology. For additional reading, see The Johns Hopkins University Press for an article about women’s history in engineering. For additional reading more about housewives and household appliances, read an article from Technology and Culture. 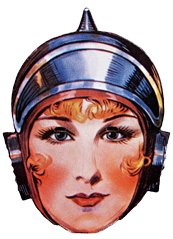 This picture above is a woman working with the mainframes. This photo comes from a blog of retro photos. Read more about the pioneers of women in computing in the twentieth century from an article by Denise Gurer. Above is similar to the previous of a woman working with the computers and reading what it has printed. 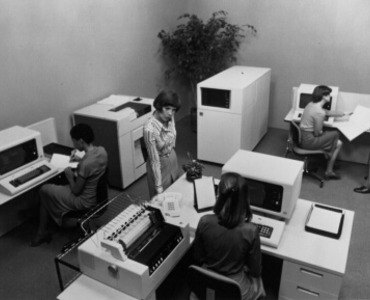 The blog also provided a great article from the Washington Post about when computing was a woman’s job. 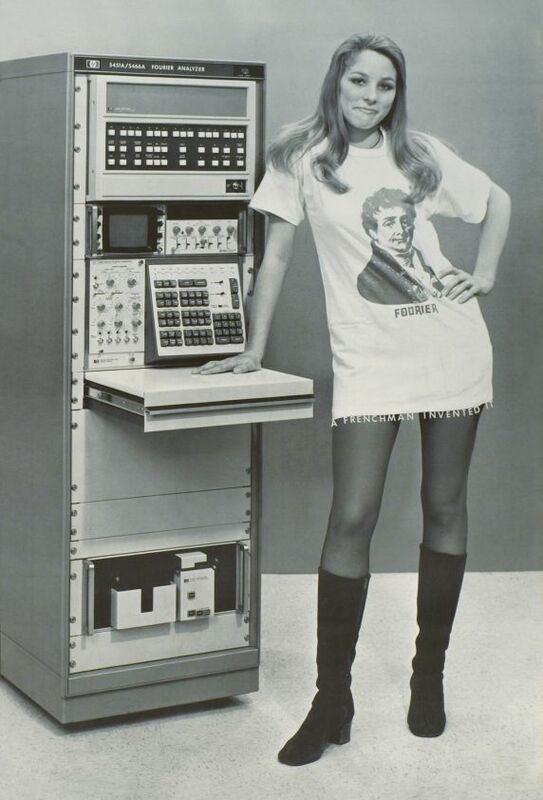 The poster for the first calculator taken at Berkeley University. The caption that followed it was “A Frenchman invented it” because it was a French invented, like the mini skirt. The source of this picture is from the Un Deux Trois Museum. The Sperry Univac 90/80 Mainframe computer was first introduced around 1973. The 90/80 model was the high end system and was part of the Series 90 systems. These systems had an instruction set that was compatible with the IBM System/360. To read more about the Univac 90/80 click here and to see the original picture click here for Donne nell’Informatica’s Pinterest. The IBM System/360 Model 22 provided an economical way for the user to meet their growing data processing requirements in a more timely fashion. 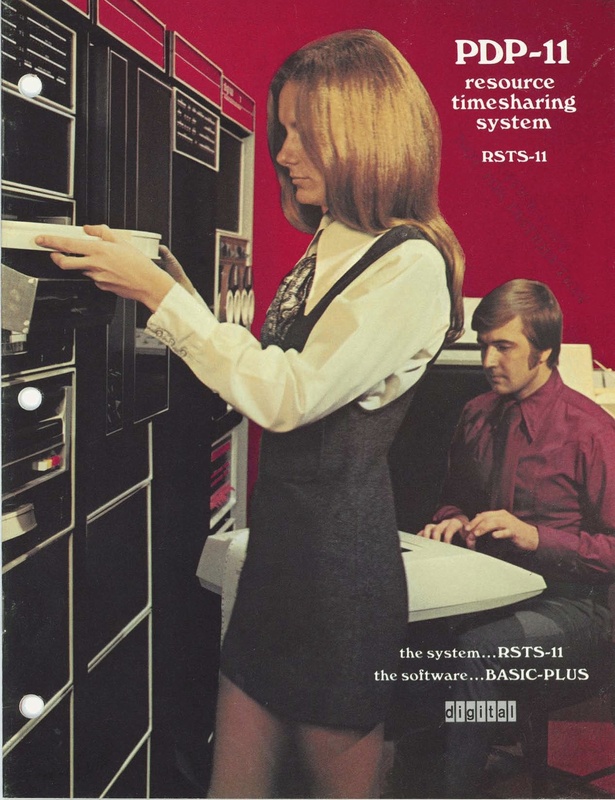 It was introduced in 1971 and ran under IBM’s Disk Operating System. 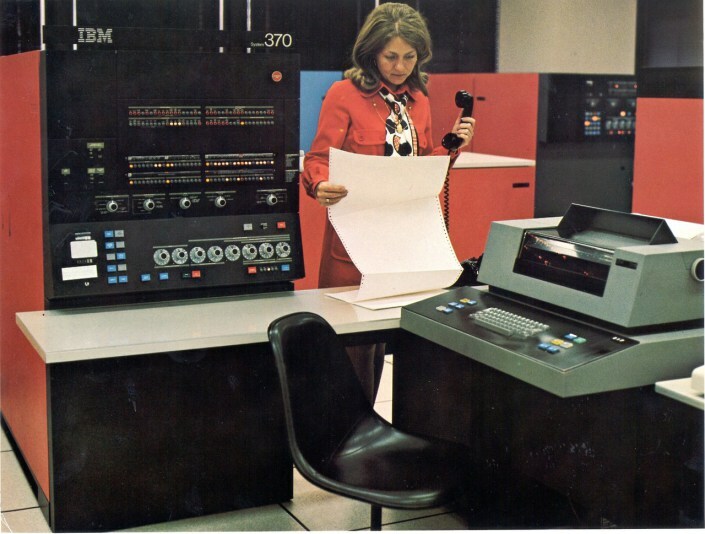 To read more about the IBM System/360 Model 22 and to see the original picture in the IBM Archives click here.